Female birds-of-paradise are very picky with their mates, new research shows. 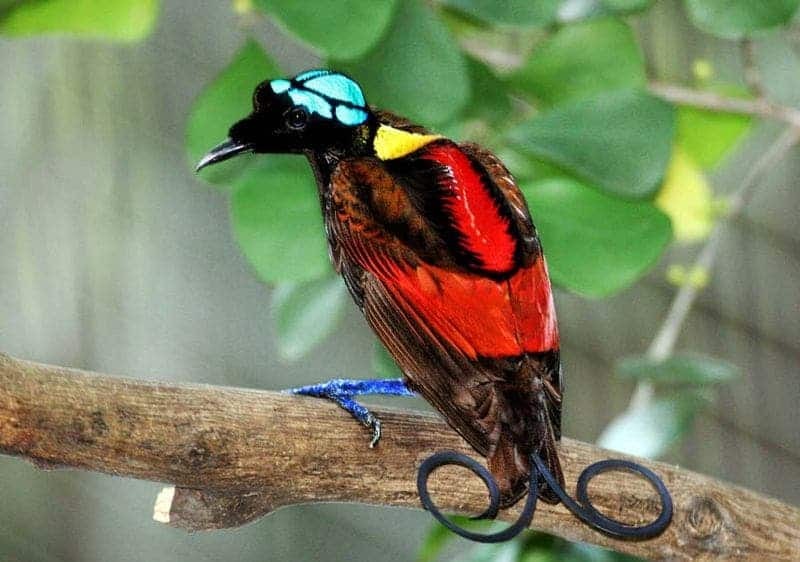 Wilson’s Bird of Paradise (Diphyllodes respublica). Image credits Serhanoksay / Wikimedia. Birds-of-paradise didn’t get their name for naught. The males of the species are renowned for their incredible plumage, complex calls, and dazzling dance moves. However, all this fluff isn’t enough to convince the discerning objects of their affections. A new study reports that the female preference may also be tied to where the males ply their courting: on the ground or up in the trees. The number of colors on a male and the number of different sounds he makes. The more colors he sports, the larger his repertoire. Dance complexity and the number of sounds a male can produce. The most dazzling dancers also have the widest range of sounds they weave into their songs. Males that display in a group (a lek) tend to have more colors. The team believes this helps them stand out better amid the competition, canceling out some of the drawbacks of the lek. 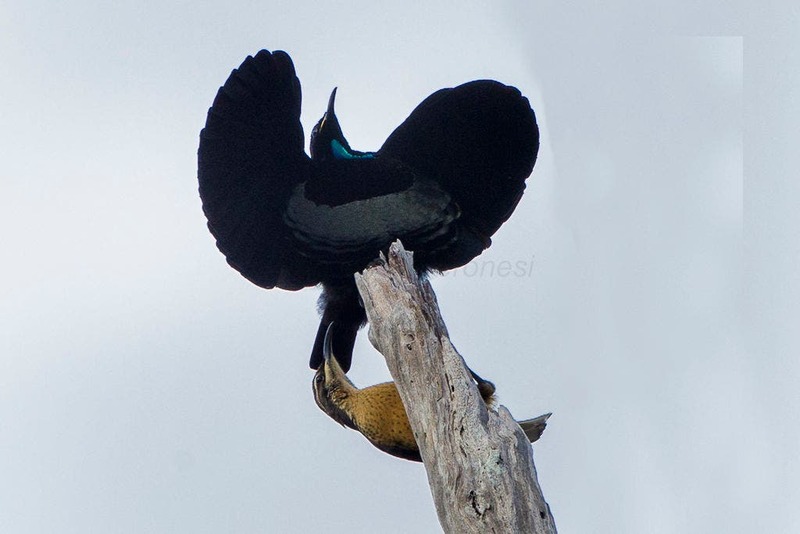 A male (black, top) Victoria’s riflebird (Ptiloris victoriae) displays for a female (brown, bottom). Victoria’s riflebirds are also birds-of-paradise, native to northeastern Queensland, Australia. Image credits Francesco Veronesi / Wikipedia. According to the study, female preference drives the evolution of physical and behavioral traits that make the species’ males so distinctive. Lead author Russell Ligon says that females evaluate not only how attractive a male is, but also how well he sings and dances. Their preference for certain combinations of traits results in what his team calls a “courtship phenotype” — the phenotype is an individual’s traits determined by both genetics and environment. Because females pick and choose mates based on a combination of characteristics (rather than a single one), males have had ample opportunity to ‘experiment’ with their courtship displays, the team reports. This led to the large variation seen in the species’ courting behaviors today — if females were looking for a single characteristic, all the males would simply try to double down on it. Of course, it also helps that the birds have few natural predators to interrupt all the romancing. “Species that display on the ground have more dance moves than those displaying in the treetops or the forest understory,” explains Edwin Scholes, study co-author and leader of the Cornell Lab’s Bird-of-Paradise Project. Males of species that display above the canopy — where there is less interference from trees and shrubs to block sounds — sing more complex songs. Their dance moves, however, are less elaborate. The paper has been published in the journal PLOS Biology.